Who knew that sapphires came in such an amazing variety of colours? Different chemical elements that naturally occur in the earth’s crust affect the chemical composition of sapphires to produce sapphires in literally every colour of the rainbow. 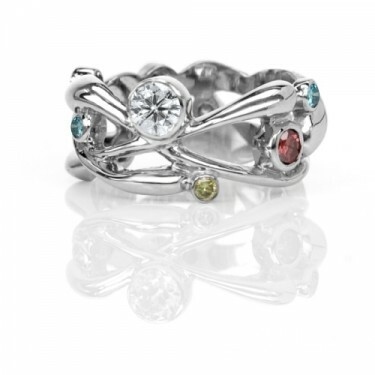 This collection makes great use of all those colours to produce vibrant pieces of jewellery in 18K white gold.